The product is currently selling on Mecca. No price comparison can be made as the product is not offered by competing chemist/pharmacy. The current price is $74.00 (71 %) cheaper than previous price of $104.00 recorded on 30 Jan 2019. The price is ($74.00) (3 %) more than the historical cheapest price of $29.00 recorded on 3 Oct 2018. 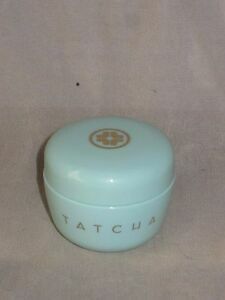 Similar product NEW TATCHA the WATER CREAM, TRAVEL SIZE, 0.34OZ/10ML, NO BOX can be found at ebay Australia at $37.78.